It has been a lean October for birds. 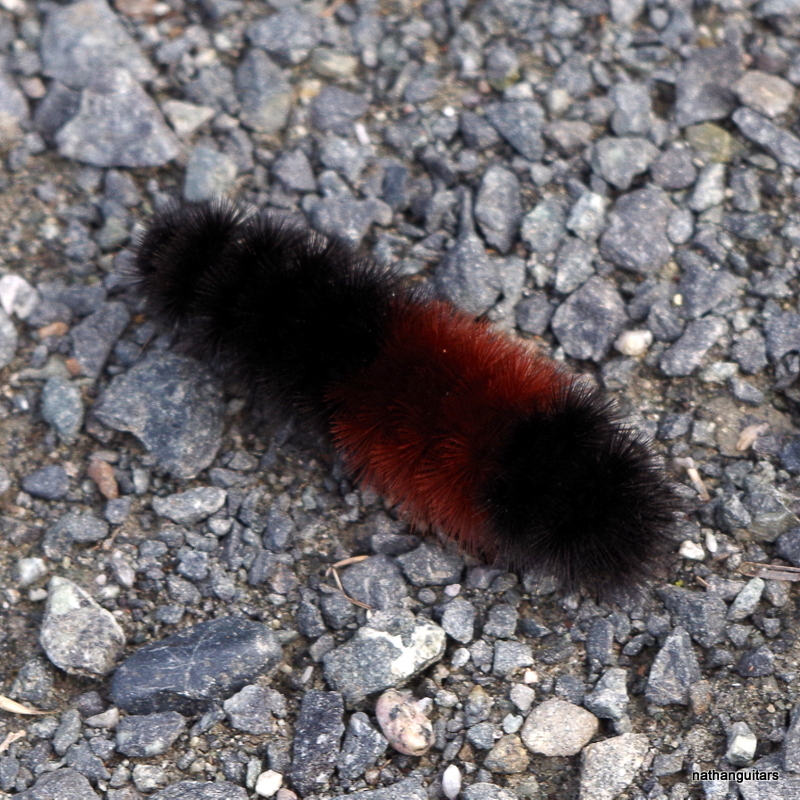 Neither hawk nor owl nor woodpecker to be seen, but banded woolly bears are here. 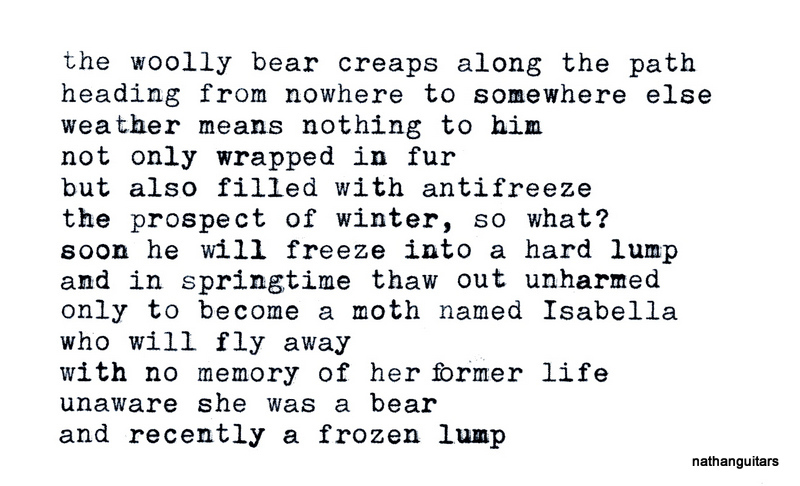 Not real bears, mind you. Circumnavigations of the lake provide numerous encounters with slow moving fuzzy caterpillars. 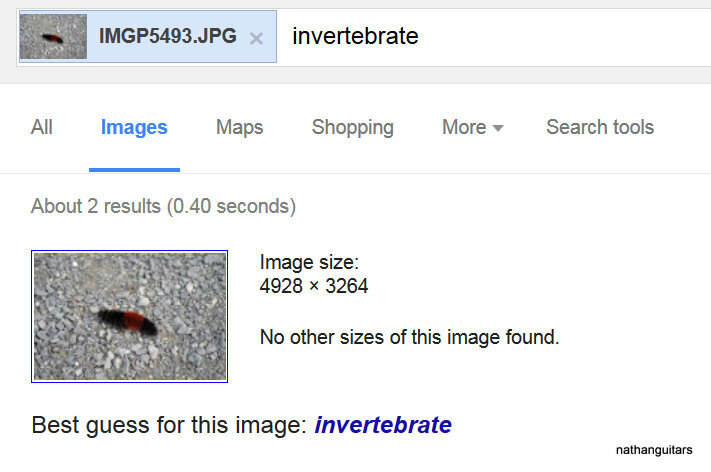 A Google image search turned up only that this picture was of an invertebrate. Pyrrharctia isabella (Isabella tiger moth) can be found in many cold regions, including the Arctic [needs citation]. The banded woolly bear larva emerges from the egg in the fall and overwinters in its caterpillar form, when it freezes solid. It survives being frozen by producing a cryoprotectant in its tissues. In the spring it thaws out and emerges to pupate. Once it emerges from its pupa as a moth it has only days to find a mate. In most temperate climates, caterpillars become moths within months of hatching, but in the Arctic the summer period for vegetative growth – and hence feeding – is so short that the Woolly Bear must feed for several summers, freezing again each winter before finally pupating. Some are known to live through as many as 14 winters.